No, You Don’t Need An FAQ. FAQs Must Die. I’ve never been on Jeopardy, although I watched it on occasion when it was still running in Norway. As much as I enjoy trivia games, this was never a favorite of mine. The “answer must be a question” rule leads to lots of contrived questions, and contestants get eliminated for not remembering the “Simon says” aspect, even if they know the answer. When you write for an FAQ, you take out the fun factor and big prizes, but keep the stilted and awkward aspect. No matter the topic, you have to turn everything into a question. I will take most format challenges anytime: I write text for graphical user interfaces, I follow patterns when documenting procedures, I tweet. Then again, those are all exercises in conciseness, and I love concise, especially in technical communications. 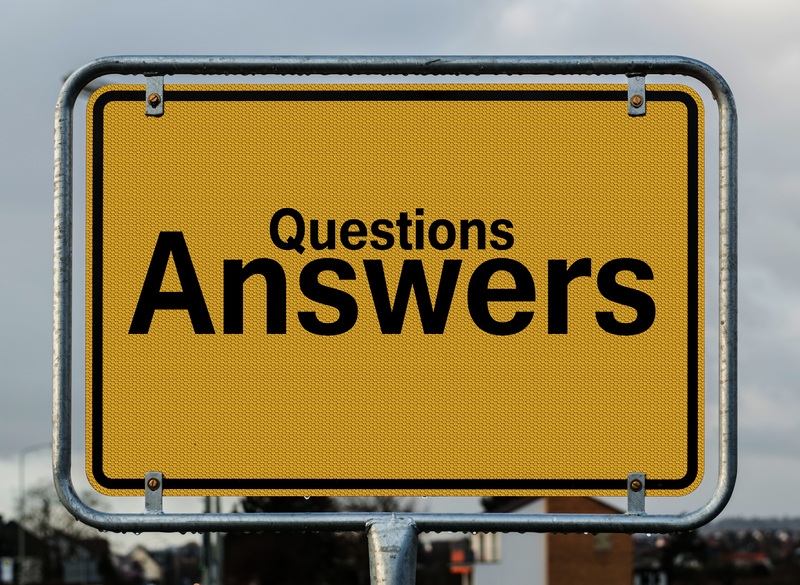 The frequently asked questions format seems concise enough; an FAQ section is usually built up of small, discrete topics. But in my experience, the opposite is true. From both a writing and reading point of view, I find FAQs to be contrived, redundant, and inefficient. And that is why FAQs must die. The UK Government Digital Service has made a fantastic case against the format in FAQs: why we don’t have them. The biggest FAQ I ever worked on was a poorly defined database of articles meant to cover everything people couldn’t find in the general documentation. Yes, I admit it had plenty of issues alongside the question format. The writing team had previously agreed upon an FAQ format, but many of the best entries still had titles that were scenarios, as these articles were often written for troubleshooting purposes. A helpful colleague, realizing that these couldn’t be read as questions, decided to go through the whole thing. At each scenario, they would toss in full stops and a “Why?” at the end to fit the format where needed. Every time I saw one of those titles, the “why” would take on this whiny, accusatory tone in my mind. It may not have read very well, but my colleague was doing the right thing entirely, both for the sake of consistency and for demonstrating the shortcomings of the format. In the end, we agreed that we would call it a knowledge base rather than an FAQ and drop the question requirement. We even got a few other publishing guidelines implemented. By all means, create a knowledge base if you need one, but define it well and don’t force a question format. When you turn headings into questions, you add filler words, and you mostly lose the opportunity to frontload—putting the most significant words, the keywords users are actually looking for, first. The same thing goes for “how to”-style titles, even when there is not a question mark at the end. Why make people look for the question? If you know the questions people are asking and at which point when interacting with your product, website, or company, then you can probably reassure them without asking the question out loud for them. The important thing is making sure the information they need is available at the right time. As an example: The question I most often ask myself as a visitor to non-Norwegian ecommerce sites, is whether they ship to Norway. Finding out usually requires digging through shipping policies or, in some cases, going through most of the checkout process until getting to a dropdown without my home country in it. Surprisingly recently (it’s not like the technology is new), more sites have started using IP address sniffing for good. I am thrilled when a site displays a small info banner the moment I access their site, stating whether they ship to my country of residence. THIS is what I want: information before I waste my time. The FAQ format is inefficient. It’s not the question people are looking for. The nature of FAQ headings also often leads to having five tiny articles or sections where one slightly longer writeup would have been sufficient. Content strategist Hilary Marsh has some great examples and does a terrific job of explaining Why FAQs are not effective web content. FAQs Won’t Just Go Away. Why? The UK Government Digital Service wrote FAQs: why we don’t have them in 2013. I had hoped that by now, with increased focus on usability, scannability, and search engine optimization through keyword frontloading, that new products might start avoiding the FAQ format. “FAQ” has become shorthand for either “bite-sized information” or even “searchable documentation”. Most people wouldn’t bat an eye if they clicked on “FAQ” and found a knowledge base without question marks in the headings. As a writer, I may obsess over genres, but I know that most readers don’t. Neither do the managers that tend to bring up the requirement. As for search engine optimization, the pendulum swings. Many search engine optimizers are adding more questions to their content in attempts to get into Google’s featured snippets, the “answer box” displayed above all the other search results. The sad thing here is that Google’s logic for picking answers seems primarily focused on the question and its exact wording. The quality or accuracy of the answer appear secondary, demonstrating again that the question really isn’t what the user is looking for. The logic needs to become a lot more sophisticated, and I assume it will. Over the years, I have v e r y slowly worked my way up from growling “NO!” and sharing that link from gov.uk the moment someone mentions “and we need an FAQ”. Now, I’ll let at least a few seconds pass! I might not even speak the words “FAQs must die”. You should be the one looking for questions, not your reader. And if you can answer before they even think to ask, the FAQ is well and truly dead. Funny, I just wrote an email to the same effect. If your website needs an FAQ, it is not architected well. If your getting FAQs, it is your users saying, Hey! Something is really wrong here. Fix it! Personally, for me, I don’t really find FAQs useful because 70% of the time it doesn’t contain enough frequent answers and if they do answer the question, they usually don’t do it to the depth that I require. So, I prefer discussion boards where I can ask other peers and support teams. If there are FAQs, they should always have a date showing when it was last updated, and when it will be next updated. It should also have a field so that people can answer if it helped them or not and if not to be able to submit their question and have it personally responded and mandated that the FAQ gets updated right after to improve the answer provided. They really have to be maintained else they are useless. Personally, I’d rather have no FAQs and instead ensure that there is a constant improvement of the site. If there is a need for an FAQ, it is just telling me that there is obviously something wrong with the IA of the site or the content written. E.g. an FAQ on a site might be “Where do I download older versions of software?”, with the answer providing a link to the page with the archived downloads. This and others just show that there is a failure in the site and that it must be made more intuitive to the user of where to download without needing to ask. Once a user is taught how to do something through the response, they should be asked how the system or interaction could be improved to reduce the question. Where did you have this question? How could we reduce the need for this question? Where did you have this question? What is still not clear in the answer? So, there you go, those are my thoughts. Thanks, ‘Drew! I mostly agree with you, although I think most FAQs are founded in mostly good intentions. But that’s no guarantee for actual helpfulness, as we all know. jorunnix on No, You Don’t Need An FAQ. FAQs Must Die. 'drew jung on No, You Don’t Need An FAQ. FAQs Must Die. Julie on Making A List? Check It (At Least) Twice!